Researchers from the Folding and Conformational Diseases Group at the Institute of Biotechnology and Biomedicine Group are part of the European project Neuromed to develop molecules and detect biomarkers of this disease before the signs of neurodegeneration become evident. The Neuromed project is led by the University of Zaragoza and aims to design molecules, drugs and new diagnostic tools early for three neurodegenerative diseases in which defective proteins are involved: Parkinson’s disease and two rare diseases, phenylketonuria and protein TTR Amyloidosis. The coordination of the Parkinson’s research line will be directed, from the IBB, by Salvador Ventura, principal researcher and director the Protein Folding and Conformational Diseases group and Professor at the Department of Biochemistry and Molecular Biology at the UAB. Researchers in his group are also involved in the project. The goal of Professor Ventura and his collaborators is focused on developing a diagnostic kit that will allow early and sensitive detection of the presence of Parkinson’s biomarkers in blood and cerebrospinal fluid, in such a way that the treatment of the disease can begin before the signs of neurodegeneration are obvious. Neuromed strikes a common element of the three diseases to be investigated: their conformational defects. 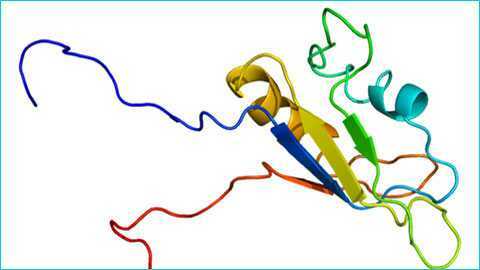 The research will look for new molecules that can even recover the activity of defective proteins. The combination of computational and biophysical techniques to identify and develop compounds that are tested in cell and animal models would allow the development of drugs active on the three diseases, and will contribute to the early diagnosis of Parkinson. The Consortium Neuromed involves six partners from Spain, Portugal and France. The research groups, Including the one of professor Ventura, have consolidated expertise in the approach to diagnose and treat these diseases. The project will run for 14 months and has a total cost exceeding EUR 1 million.